After careful consideration, I decided to make changes to our website. I am no longer selling online. I will utilize this more basic, yet still very functional website until the need arises for the more elaborate, and costly, alternative. I will continue to use Facebook as the primary means for conveying current events and a majority of the shop information. 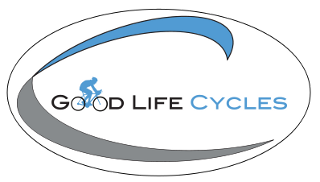 www.FaceBook.com/goodlifecycles Thanks for your understanding!